Summary: I love doing bodyweight workouts because it means you can do them ANYWHERE (well, anywhere that’s appropriate). I love doing bodyweight workouts because it means you can do them ANYWHERE (well, anywhere that’s appropriate). You don’t need any equipment except for yourself! 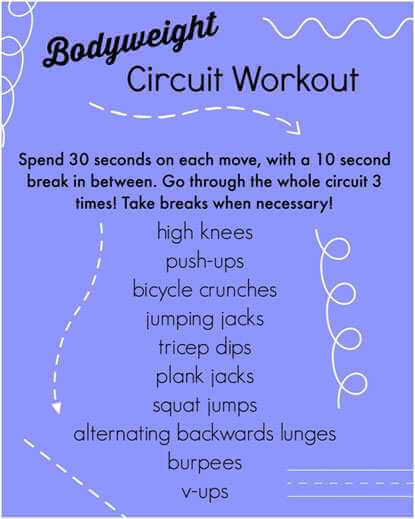 You can do this at home, at the park, at the gym, and especially while traveling! Give the below workout a try. I hope you enjoy!